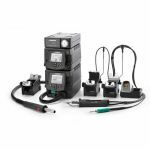 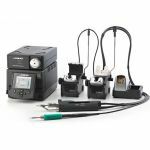 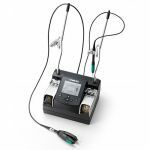 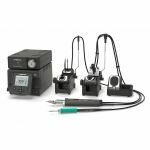 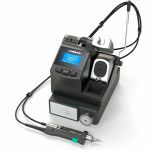 Howard Electronic Instruments offer high quality Meduim Duty Desoldering Stations by respected manufacturers such as, Xytronic, JBC Tools, Jovy, Atten, DEN-ON Instruments, EDSYN, and Goot. 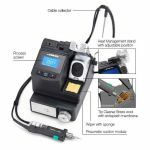 We also have all soldering tips, desoldering handpieces, desoldering stands, desoldering parts, desoldering pots, desoldering fume extractors, butane desoldering irons, and desoldering accessories for all the Desoldering stations we sell. 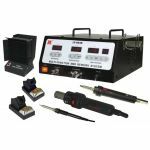 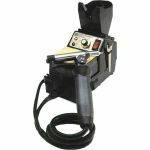 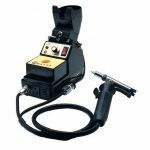 Choose a Medium Duty Desoldering Station Today.